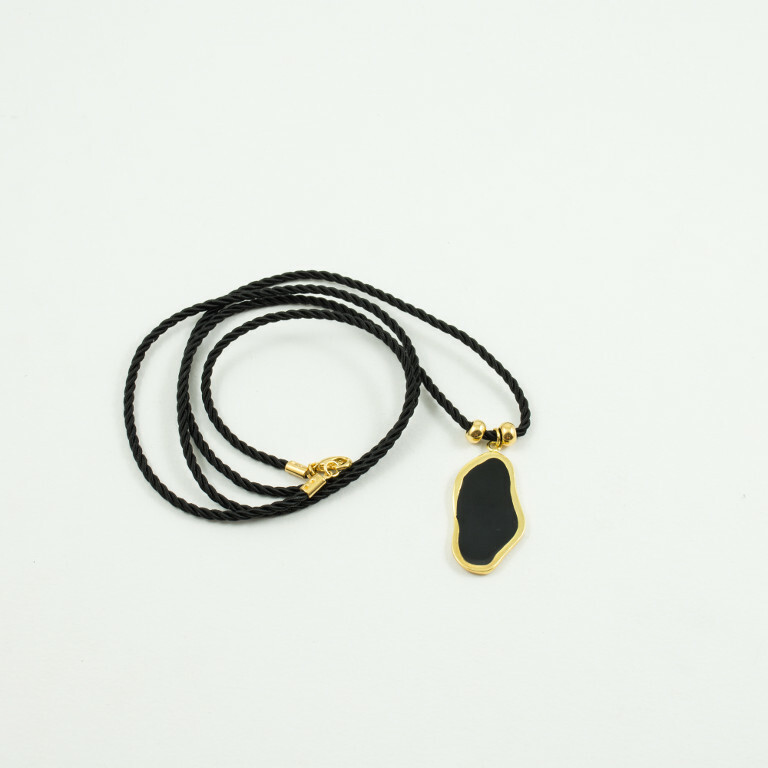 Necklace with twisted cord in black colour, decorated with a gold plated brass motif in the shape of an irregular oval, with enamel in black colour and two beads on both sides beside it. Length 80cm. Dimensions of motif 2cmx3.6cm.